The uncomfortable past of Khloe Kardashian's ex partner, Tristan Thompson. 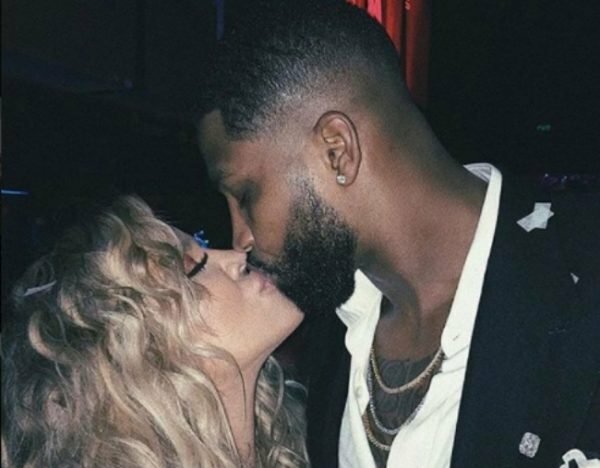 Last week, Khloe Kardashian and Tristan Thompson’s relationship came to an end amid reports that the Cleveland Cavaliers basketball player had been caught cheating on Khloe. Although Tristan and Khloe were seen celebrating Valentine’s Day together just weeks ago, it was reported that Tristan had been spotted cheating on Khloe with Kylie Jenner’s best friend, Jordyn Woods. Instagram account Hollywood Unlocked posted a video with all the details, including how Tristan reportedly told everyone at the party to stop using their phones or leave. #PressPlay One of our contributors was at #TristanThompson’s house party and saw what went down! @kyliejenner we need you to address some thangs with @jordynwoods ???? Anyhow, #JordynWoods stayed at his house until approximately 7am. Who needs to go?! Comment below! Although Khloe hasn’t made an official comment about the scandal as of yet, Jordyn will address the scandal in the coming days with an interview on Jada Pinkett Smith’s Facebook show Red Table Talk. It’s not the first time Khloe and Tristan’s relationship has been troubled by a cheating scandal. Last year, Khloe was just weeks from giving birth to her first child True when Tristan was caught cheating on her. Three videos were published, the first two apparently filmed on a Saturday night. 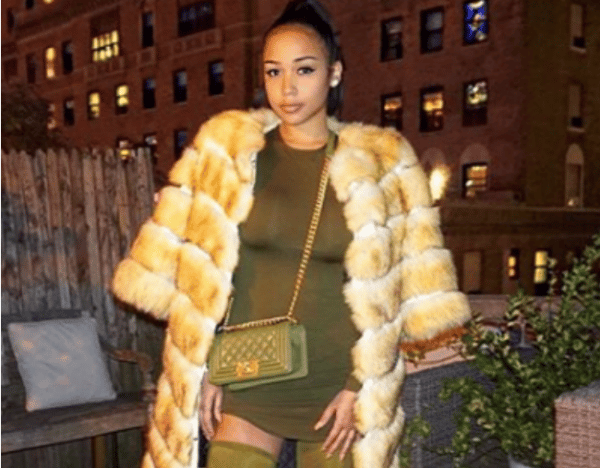 In one, the 27-year-old Cleveland Cavaliers basketballer is reportedly seen talking closely to a woman at a New York City club before leaning in for a kiss. The next video is claimed to show Tristan later that night, with the same woman, walking to a hotel. She has since been named as Instagram model Lani Blair. That very night, Khloe was reportedly at home in Cleveland, Ohio, just days away from going into labour. Then, a third video was released. This time, filmed at a bar near Washington in October when Khloe was three months pregnant. The video appears to show Tristan with two women, kissing one of them and putting his head to the other’s chest as she puts her hand to his crotch. A source told People magazine that reports of Tristan’s cheating on Khloe were a “long time coming”. “He’s a serial cheater. And there will be more women to come out of the woodwork,” they said. The timing of these reports was devastating for Khloe. A moment that should be her happiest has been tainted by rumours of the most salacious kind. In normal circumstances, the public would be expressing nothing but heartache for her. But there’s a problem: Tristan’s uncomfortable past. You see, if the reports are true, this is not new behaviour for Tristan. Almost as soon as soon as the cheating headlines spread, the name of Tristan’s ex-girlfriend, Jordan Craig, sprung up. And that’s because the reports are reminiscent of those that swirled in 2016. So let’s go back to how things unfolded. Tristan and Khloe announced they were dating in September of that year. It was reported they met about a month earlier at Kevin Hart’s wedding, with Tristan rumoured to have shown up with his then long-term girlfriend, Jordan. This is Jordan. Image: Instagram. At the time, Jordan - a lifestyle blogger - was about five months pregnant. The circumstances of the break-up between Tristan and Jordan were unclear, and unusually for a high-profile athlete, not even details of them splitting surfaced. So fans were left to do the maths. Accusations swelled that Tristan had, if not cheated on his pregnant girlfriend, dumped her for the youngest Kardashian sister. Or, at the very best? He&apos;d moved on very, very quickly. Within the space of 16 months, Tristan will be father to two children conceived with two different long-term partners. Jordan gave birth to his son, named Prince Oliver, on December 12, 2016. Eight days after the boy&apos;s first birthday, Khloe announced her own pregnancy with Tristan. Jordan has never been mentioned publicly by any Kardashian nor by Tristan. A photo of Khloe and Tristan on his social media. Image: Instagram. It&apos;s important to stress that - as with a lot of celebrity stories - many of these reports are based on rumour and observation. Tristan is now wedged inside the Kardashian machine, where it is near impossible to work out what is fact and what is fiction. Everything we experience with this family is through a carefully curated stream of content, designed to attract positive attention and make money - not to deliver us hard truths. It is likely we will never know exactly how tangled Tristan&apos;s cross-over from Jordan to Khloe was. It&apos;s easier to ignore cheating rumours than allow them to become a solid part of your narrative. But what we know for certain is that the entire situation was mucky from the start, and today, it became even more so. And there is one man at the centre of it all. 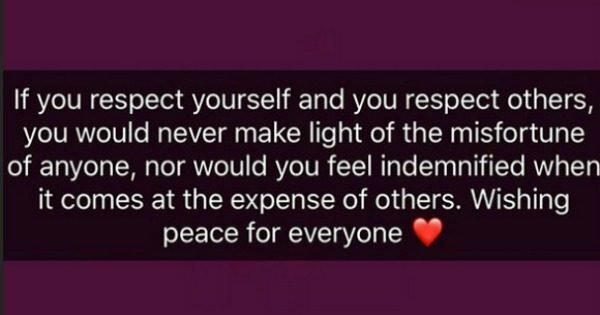 For the first time, even Jordan appears to have addressed Khloe and Tristan&apos;s relationship. She posted on her Instagram only hours after it was reported Tristan cheated on his pregnant partner. The statement on Jordan&apos;s Instagram story. Image: Instagram. Is this a case of history repeating itself? The fans certainly seem to think so. And if that&apos;s the case, it says a lot more about Tristan than it does about Jordan or Khloe. What do you think of the rumours about Tristan Thompson&apos;s actions? Tell us in the comments below. Correction: A previous version of this article stated the wrong date of Khloe Kardashian&apos;s pregnancy announcement. LISTEN: Mamamia Out Loud discusses the convenient timing of all the Kardashian pregnancy rumours.